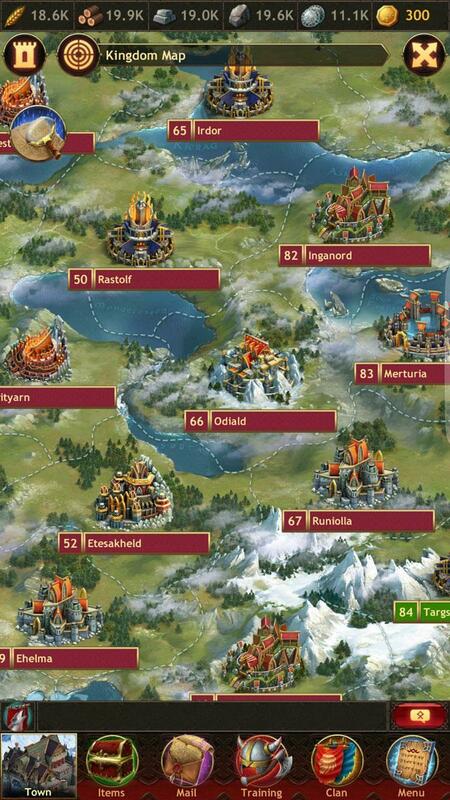 Play this highly immersive MMORTS game and wWar wars against the other kingdoms of the land. Vikings: War of Clans is an extremely high quality MMORTS game that players can enjoy in the comfort of their own mobile devices. It’s an incredible RTS that’s packed with epic moments, breathtaking visuals and some of the most immersive strategy combat that we’ve ever seen before from this genre and the best part of it all is that you can enjoy it on the go whenever you have some time to spare. As is the case with any other full-fledged RTS game, it’ll take a while before you get the hang of Vikings: War of Clans simply because there’s so much to learn about it. However, the game comes with a very in-depth and informative tutorial sequence that takes place in a step by step manner and makes sure that players understand all the basics of the game. The tutorial is not only informative but it’s very rewarding as well because it will give you currency and experience every time you complete a task assigned by it. In terms of gameplay, Vikings: War of Clans is without a doubt one of the most complete MMORTS games that you’ll ever play on a mobile device. First and foremost is its highly advanced kingdom building system. You will be given your own castle and a massive piece of land that you can do essentially whatever you want with. You can create military structures, economic structures and various to strengthen your kingdom. Other than just putting up buildings, you can also perform various kinds of researches and unlock new technologies that will strengthen your forces even further and this research system is exactly what puts this RTS a cut above its competition. 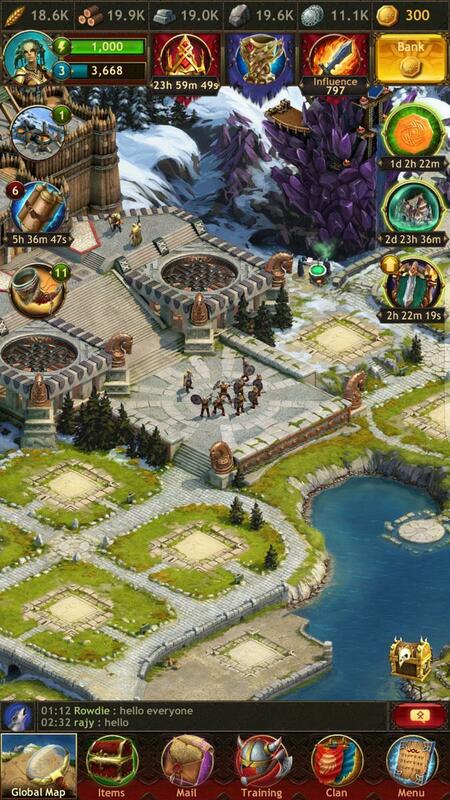 The actual combat system of Vikings: War of Clans is very well executed. It doesn’t really take as much of a hands-on approach as most modern day RTS games do so you won’t be doing much during the actual fighting but regardless of this it’s still very fun to create massive forces, send them to enemy bases and have them tear the opposing kingdoms to absolute shreds. Going into its visuals, Vikings: War of Clans looks absolutely breathtaking. The game world is full of detail, the characters are absolutely spot-on and have been animated near perfectly, the artwork and art style works very nicely with the whole Viking theme and overall there are lots of things that players will enjoy about the way this RTS looks. The game is completely free to download and play but it does have its share of micro-transactions that you can go through to purchase various kinds of in-game content such as currency. 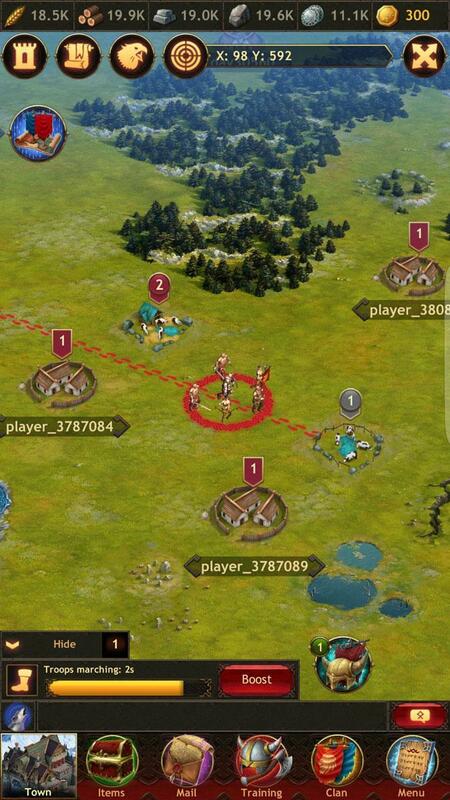 Vikings: War of Clans is a magnificent MMORTS game that goes above and beyond to deliver players one of the most immersive strategy game experiences available on mobile devices.